The Incurable 24X7 Disease. Help me fight for a cure! Thank you so much for donating! This is my 10th 100 mile ride to ask for donations which go to research for a cure for Type 1 Diabetes, insulin dependent to live. My son has had Type 1 Diabetes his entire life. Diagnosed at 7 months, he is now 37 years old, CEO of Team Novo Nordisk, an all Type 1 Diabetic professional cycling team. I am sure I am no different than any other mom or dad, incredibly proud of our children but want them to be cured of Type 1. I do not take asking for donations lightly. I train hard to earn donations as I plan on doing three or four century rides this year to raise money for cure, the hardest 100 mile ride is Death Valley. I can get off my bike anytime. My son and anyone with Type 1 Diabetes can never stop injecting insulin, having to purchase and maintain expensive technology to try to maintain normal glucose, and that is with insurance. The disease has caused people to die because they cannot afford insulin. My way of trying to fight this is to ride a bike for a long time and ask for donations to support me. Thank you. 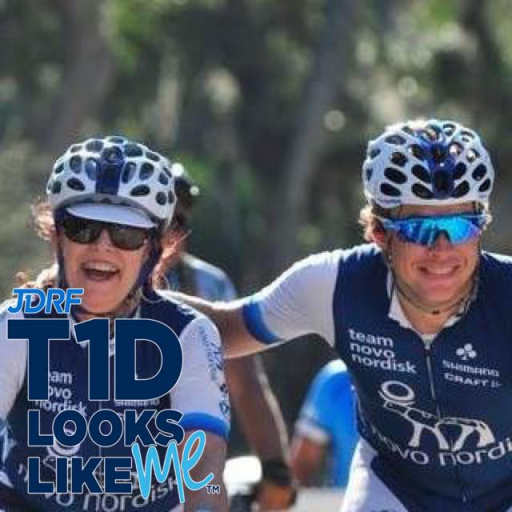 I am proud to be returning for my 7th JDRF Ride!